New Liturgical Movement: Do Congregations Dwindle Because “People Don’t Understand What’s Going On”? Do Congregations Dwindle Because “People Don’t Understand What’s Going On”? At the often amusing and generally tendentious blog called PrayTell, Msgr. M. Francis Mannion offered readers a theory about why liturgy must be in the vernacular. In short, unless people can understand the words of the rite, attendance is sure to dwindle at an alarming rate! Those who are attached to Latin in the liturgy (mostly in the context of the Tridentine Mass) would do well to attend to what is happening in the Greek Orthodox Church in America. A recent study by George Demacoupoulos of Fordham University proposed that the Greek Church should consider dropping the ancient Greek currently used in the liturgy and move toward English or modern Greek. The principal impetus for this is the fact that congregations are dwindling at an alarming rate due in great part to their incomprehension of the current language of the liturgy. This is especially true of young people, who are unable to connect with the liturgy because of the language problem. I bring this up because of the attachment of some Catholics to the Latin Mass. 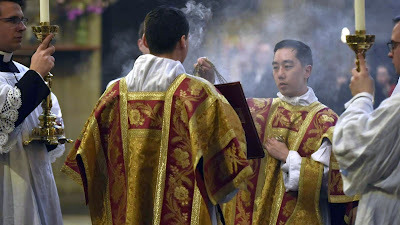 If they do not know what is going on in the liturgy (even with the use of a Latin/English missal), their attachment is apt to be merely aesthetic. Despite the myth of youthful attachment to Latin, I think the attachment will fade. What a coincidence, I thought, that the greatest exodus in Catholic Church membership since the time of the Protestant Reformation coincided with the progressive vernacularization of the Roman liturgy throughout the 1960s and 1970s! How curious that this decline has continued, with the usual statistical variations, to the present day, as bishops consolidate and close parish after parish — in spite of a liturgy that is totally comprehensible, and indeed, invites and even enforces popular participation! What’s not to love? How bizarrely contrary to all the laws of nature and culture that Latin Mass communities in the USA have grown from a handful in the 1980s, to about 250 in 2007, to about 500 today! Pretty good for a faddish attachment to an alienating ritual. Not to mention the kind of responses Latin Mass-goers give to survey questions. In reality, we all known that there are far more factors at play than what language the liturgy is in, or whether people participate “actively” in it. There is the question of whether the rites as celebrated evoke the presence of the thrice-holy God, the Lord of heaven and earth, before whom we must bow our heads and bend our knees. There is the question of how much extraliturgical catechesis is being offered (or even whether any instruction worthy of the name is taking place). There is the question of intentional discipleship on the part of the faithful: the more seriously parents practice their faith, whether they are charismatics, traditionalists, or social justice crusaders, the more likely their offspring are to remain committed. But back to Msgr. Mannion’s claim. In the simple world of “clear and distinct ideas” in which liturgists live, the lack of verbal, rational comprehension of liturgical texts will inevitably cause a precipitous decline of worshipers — and anyone who thinks the contrary is suffering from illusions of grandeur, induced by aestheticism. Does this explanation hold water? The assumption that following word-for-word the meaning of liturgical texts and making vocal responses to them is the primary way in which Catholics participate in the liturgy — a view popularized by liturgists in the 1950s and 1960s — has since then been subjected to severe critique from many angles. Sociologists have pointed out that dense, impenetrable, to some extent off-limits religious rituals are a powerful motivator for belief and devotion. Psychologists note that archetypal symbolism conveyed in gestures, clothing, and other physical phenomena, not to say the superrational language of music, are at least as communicative as words, if not more so. Theologians have always emphasized that liturgy is not, first and foremost, a human work we do for God, so much as a divine work He bestows upon us, allowing us to take part in that which is greater than anything we can grasp or control. This is one of the chief reasons why liturgy as it developed always adhered more and more to established ceremonies, texts, chants, and rubrics. All this emphasizes that we are not about our own business, but about the Father’s business, as Jesus said when His parents found Him in the Temple. As noted above, the mainstream Roman Catholic world, like the Greek Orthodox, is also experiencing the loss of worshipers, but no one can maintain that our simplified Novus Ordo liturgy in the vernacular is beyond the reach of most individuals who speak whatever modern language happens to be used in a given area. On the hypothesis of rationalism under which they continue to labor fruitlessly, liturgists will never be convinced that the liturgy is sufficiently comprehensible. Instead, they will simplify (or advocate simplifying) again and again, and make the language simpler and simpler, until . . . what? Until there is nothing left to understand. This is what generates boredom and disengagement: in what is easily accessible, there is, or at least seems to be, nothing really worth understanding. The great mystery that saves the world flashes past like a Hallmark greeting. When a love of reverence, beauty, and ceremony is written off as “aesthetics,” one knows that one is dealing with a peculiarly modern form of reductionism, according to which, as Martin Mosebach dryly observes, sincerity is proved by ugliness or plainness. For the Mannions of the world, the longing for a transcendent and numinous expression of the sacrifice that unites heaven and earth is reducible to nostalgia, sentimentality, or elitism. In that case, one might as well write off most of Western cultural and religious history, which produced and rejoiced in the most extravagant visual and audible fine art for the sake of glorifying God and raising the human soul to the stars. An illiterate peasant who knows nothing about the liturgy save that the Lord God is being adored and who joins himself interiorly to this movement would be sanctified, regardless of whether or not he knows the details of “what is going on.” In contrast, are we so sure that Catholics who hear all the prayers in the vernacular “know what is going on,” much less make it their own in genuine prayer? Present but not paying attention. Relating to the liturgy as an act of worship: adoration, contrition, thanksgiving, supplication. Joining together understanding (2) and worship (3). Entering mystically into the Christus passus, as we see in so many saints. This is compatible with (2), (3), or (4), but often goes beyond them in ways that can neither be planned for nor put into words. For someone stuck at 1, a liturgy that is linear, modular, and verbose will come across as exceedingly dull, like sitting at a meeting. Such a person desperately needs his or her attention to be caught by something out of the ordinary, something unique to the liturgy that will seem strange and offer an opportunity for puzzlement or disturbance of the closed mind. What we want is an uncomfortable seed to be planted that may germinate in memories or dreams. As memory specialists often say, we remember best that which is unusual. For someone who has progressed to 2, the usus antiquior presents both challenges and opportunities. It challenges the worshiper to take a more active role in understanding what the liturgy is saying, so that, paradoxically, attendees of Latin liturgy often know more about the texts from having been forced to do some work to crack them open. Moreover, the guise under which the words are heard — namely, in an archaic, defiantly non-vernacular language with (when properly pronounced) a beautiful flowing sound as of streams or rivers — adds an indefinable mystique to the texts, a religious aura, a sense of set-apartness and elevation. (I develop these points in this article.) The texts are clothed in special sonic raiment, even as the liturgical ministers are clothed in their hieratic garments. At level 3, symbols and ceremonies play a particularly crucial part in leading the soul to the four primacy acts of prayer with which the liturgy always concerns itself. 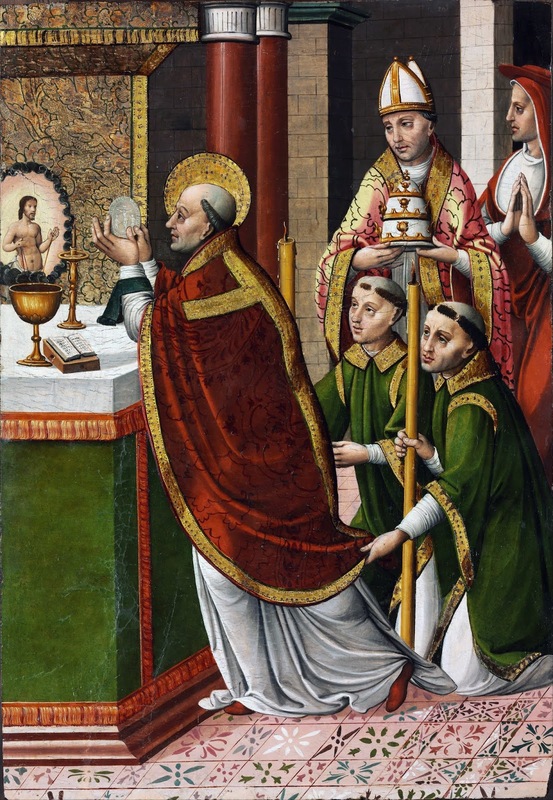 To take one obvious example, one is far more likely to adore the Lord in the Holy Eucharist and to examine one’s conscience with contrition before receiving if the Host is surrounded by a rich ceremonial involving bowing, genuflecting, incensing, standing ad orientem, the lifting of the chasuble, etc. Notice that not a single one of these actions involves any words. Level 4 would be the ideal for normal circumstances (that is, short of a special grace of contemplation, which is what the final level points to). Here, one understands with some facility the texts of the liturgy, which after a while one knows by heart or by a kind of connaturality, yet one is also highly attuned to its multiple forms of expression and therefore well situated to posit the spiritual acts they call forth. I say this is ideal because it prepares the one assisting at liturgy to savor and enter into the very mysteries themselves that are made present in it. Although each level involves the support of God’s grace, since we can do nothing supernaturally good without His aid, level 5 points to a moment in which the liturgy simply opens up to contemplation. The absence of this is not to be lamented, just as its occurrence is not to be expected, since, in a way, it goes beyond the sphere of liturgical action. I have in mind the stories of saints who went into ecstasy during the Mass — often, but not exclusively, the priest offering it. St. Gregory the Great, St. Thomas Aquinas, St. Gertrude of Helfta, St. Philip Neri, and St. Pio of Pietrelcina are well known mystics of the Mass, but there are many others. 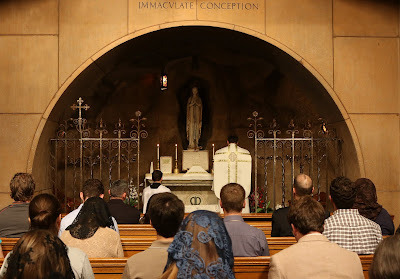 It is rather difficult, to be perfectly honest, to image level 5 occurring in connection with the Novus Ordo, as it is stubbornly opposed to contemplativity in its operative assumptions and methods. Level 3 is not especially easy to come by, either; and this lack threatens Level 4. Finally, even Level 2 is thwarted by the Novus Ordo because its very simplicity and vernacularity are so easy to zone out of. One is reminded of the frequent phenomenon in families where children will ask “Have we said grace yet?” even though the table blessing was said only a few moments earlier. Thus, as surprising as it may seem, the Novus Ordo has a tendency to encourage, not full, conscious, and actual participation, but rather its opposite: being present but not paying attention, or what we have called Level 1. There is a reason, on the other hand, why ordinary Catholic faithful find the four acts of prayer of Level 3 coming more naturally and spontaneously at the usus antiquior; why their knowledge of the texts of the liturgy, Level 2, tends to be better, since they need to work at it; and finally, why it is fitting that this ancient rite should have prepared the souls of the greatest mystics of the Mass, those whom God summoned to Level 5, to receive the gift of contemplation. If my analysis is correct — if it is even only partially correct — we may handily dismiss Msgr. Mannion’s prediction that youthful attachment to Latin liturgy is ephemeral. The source of the attachment is far more profound than aesthetics, although obviously it has and should have an aesthetic component; it is far more profound than nostalgia, although no one should knock the value of nostalgia, properly understood. Those who visit a Latin Mass parish are likely to see the pews populated not only with silvery heads but with black and brown-haired people, and more babies than all the neighboring parishes put together. Time indeed will tell what is going to fade and what is going to flourish, but if I were a betting man, I know where I’d put my money.